No specialist tool required - installed with a standard socket or spanner. 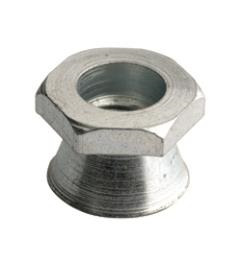 Hexagonal part shears off when bolt is tightened, leaving a tamper proof head with no recess. Also available in galvanized and stainless steel.